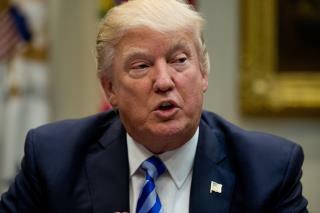 (Newser) – President Trump has signed into law a bill so controversial that Mike Pence had to cast a tie-breaking vote in the Senate when two Republicans refused to support it: the rollback of President Obama's protection for Planned Parenthood funding. The bill allows states to withhold Title X federal family-planning grants from Planned Parenthoods and other organizations that perform legal abortions, NPR reports. Federal law already bans the use of taxpayer dollars to pay for abortion, and the repeal of Obama's rule is a victory for conservatives who don't want any federal funding to go to centers that provide abortions along with other services, the Wall Street Journal reports. Forrest Trump and his criminal republicons are all good reasons for RETROACTIVE ABORTION! BOOT OUT ALL republicons, NOW! "Rolling back" anything obama did is good news. Especially that stupid transgender restroom thing in public schools. . . . . I mean how "stupid" was that. Even Target finally came to it's senses, rescinding their original decision.